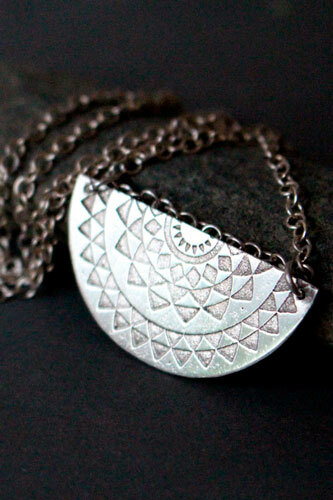 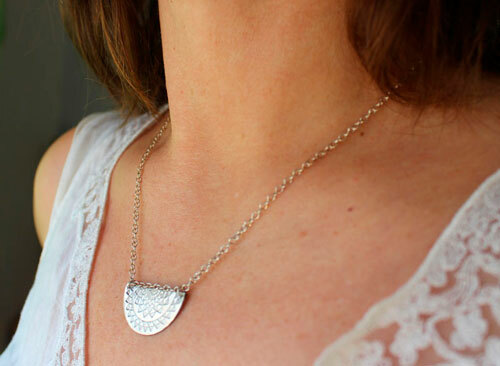 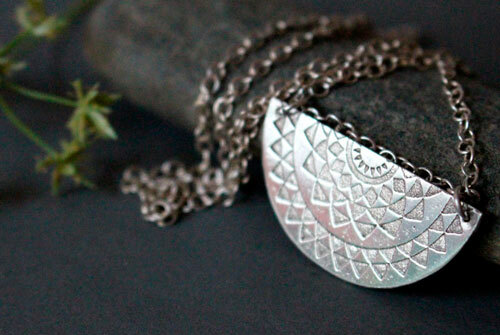 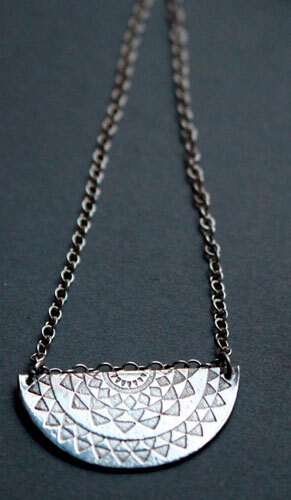 Tribal sun is a sterling silver necklace which focal piece is in the shape of a half moon or half circle. 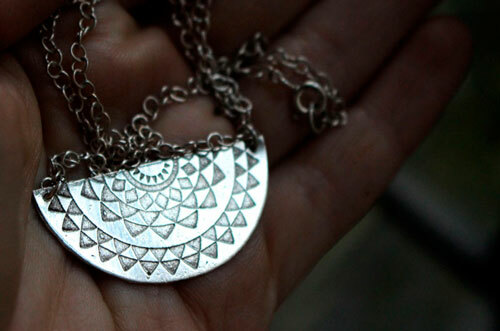 It was decorated with a tribal pattern made of tiny triangles which were engraved in curved lines. 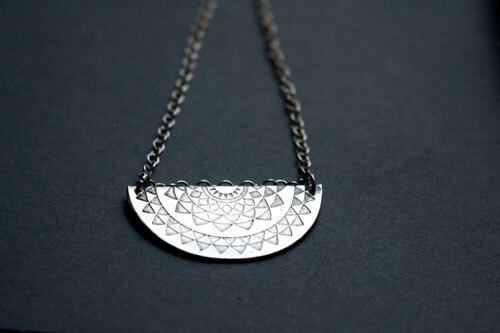 It is a very feminine necklace. 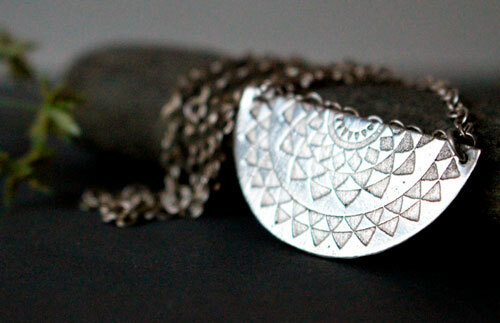 it is also a timeless necklace due to its round shape. 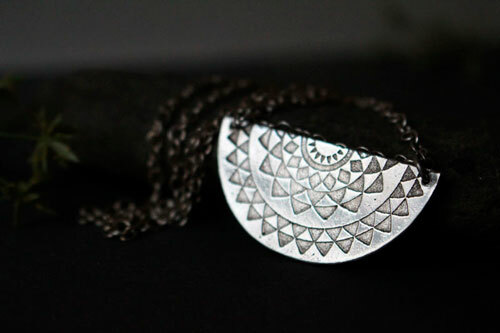 The pendant measures 1.51 x 3 cm. 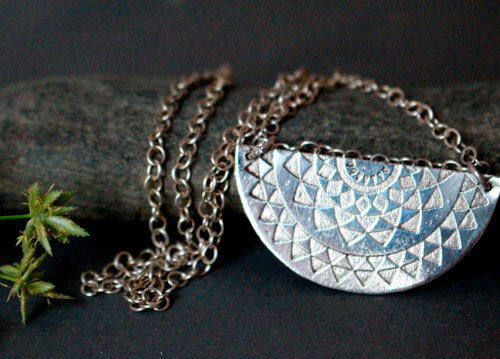 necklace, sterling silver, delicate, romantic, symbol, wedding, engagement, baptism, wedding anniversary, coral wedding, 11 years of marriage, ethnic, tribal, engraved necklace, engraving, sun, astronomy, half moon, triangle.